Dr. Ernst is a general dentist who lives in Union County with his wife, Lisa, and their four daughters. He graduated with honors from the University of Alabama with a Bachelor of Science degree in Sports Medicine. He then attended Nova Southeastern University College of Dental Medicine in Ft. Lauderdale, Florida, where he earned his Doctor of Dental Medicine. After undergoing extensive training in the field of placing and restoring dental implants, oral surgery, and sedation, Dr. Ernst was awarded the title of Fellow in the American Dental Implant Association in 2011. 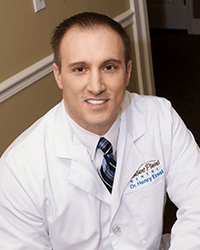 He has been affiliated with the Atlantic Coast Research Clinic in the department of Oral Implantology, and he holds a sedation certificate from the North Carolina State Board of Dentistry. Dr. Ernst is dedicated to providing his patients with the most up-to-date and effective treatments available in all aspects of their dental health. What he enjoys most about his profession is the challenge of curing dental anxiety in even the most fearful of patients so that everyone can get the quality dental care they need and deserve. Services such as Invisalign® orthodontic treatment, wisdom tooth removal, porcelain veneers (including Lumineers®), root canal treatment, and implant placement and restoration are all performed in a gentle, caring manner. Dr. Ali was born on the beautiful Caribbean island of Trinidad and Tobago, and has lived in the United States since 1996. Dr. Ali graduated from the University at Buffalo School of Dental Medicine, New York. He successfully completed his General Practice Residency at Staten Island University Hospital, from which he gained additional experience in all disciplines of dentistry. 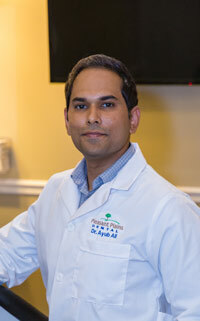 Prior to entering dental school, Dr. Ali obtained his Bachelor of Science with a major in Biological Sciences at Florida Atlantic University, Boca Raton. Dr. Ali is committed to providing quality care to our patients. He strongly believes that compassion and dedication are integral to improving the dental health of our patient family. Dr. Ali’s philosophy is that each patient is an individual with unique needs, therefore ensures that he invests the time and effort to provide the best patient care and treatment possible. He not only focuses on dental health, but also patient cosmetic needs and aesthetic preferences. Dr. Ali is determined to keep abreast of current dental technology, techniques, materials, and continuing educational opportunities. He is a member of the American Dental Association, the NC Dental Society, and the Journal of the American Dental Association. He is also Invisalign certified. Dr. Ali has been married for 15 years and enjoys spending time with his wife, hiking, traveling, and astronomy. Dr. Perkins was born and raised in Haynesville, LA, the youngest out of six children. He graduated with honors from Haynesville High School in 1985. He received his Bachelor of Science degree from Northwestern State University of LA in Natchitoches, LA, where he met his loving wife, Jennifer Hatley of Charlotte, NC. After graduating from NSU, Dr.Perkins attended Louisiana State University School of Dentistry. He graduated with honors in operative and prosthetic dentistry in May 1994, receiving his Doctor of Dental Surgery degree. Following graduation from dental school, Dr. Perkins, his wife Jennifer, and one year old son Jake, moved to the Charlotte area. 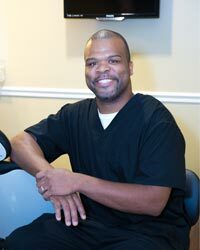 Dr. Perkins has worked in private practice in the Charlotte area since 1994. Dr. Perkins has received extensive continued studies in occlusion, both functional and esthetic, and has treated countless patients by painlessly improving their health and well-being through their oral health rehabilitation. He lives in Wesley Chapel with his wife of 28 years and their three children Jake, Hunter, and Grace Anna. He enjoys time, when not tending to patients’ needs, in the outdoors, hunting, fishing, gardening, or golfing. He strives to build relationships with whom he encounters through open and honest communication. Come meet Dr. Larry and experience a calming, comfortable visit that is based on trust and respect! Kayla was born and raised in the Charlotte area and has lived here her entire life. She currently lives in Matthews/Union County. 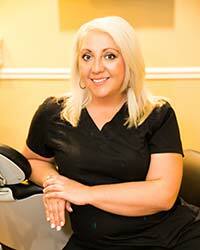 She has worked in dentistry since 2010, including time as a dental assistant. 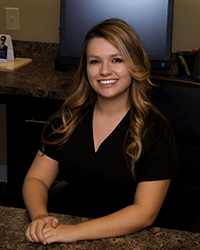 Kayla enjoys helping patients understand their dental health needs, easing their anxiety so they feel comfortable during their visits, and being able to explain different treatment options and creating a plan that meets their financial needs. In her spare time, she enjoys traveling with her fiance and spending time with family and friends. Brittany was born and raised here in Union County. 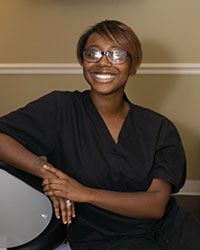 She graduated in 2015 from the Dental Assistant Academy of Charlotte where she received her Dental Assistant Certificate. Brittany enjoys spending time with her husband and two sons, being outdoors and traveling. Chelsea was born and raised in Charlotte, NC. 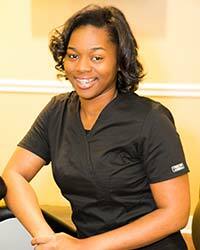 She attended North Carolina Dental Assistant Training School where she completed her certification. In her free time, she enjoys spending time with her family and friends by the pool and traveling. Brooke was born and raised in Fort Mill, SC. She moved to Union County in 2012 with her family. She has been in the Office Management field for over 10 years. Brooke enjoys spending time outdoors with her husband and girls Ashlyn, Zoe and Adie. Kristin moved from Clermont, FL to North Carolina in 2016. She currently resides in Charlotte, NC with her husband Brent and son Kaiden. 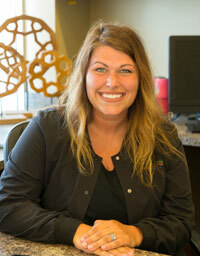 Kristin has worked in customer service for over 10 years, and enjoys working with people. In her free time, she loves to spend time with her family and her cat. 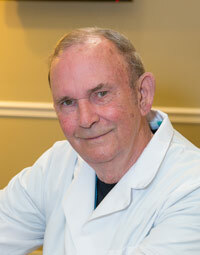 Steve has lived in Charlotte for the past 55 years, the vast majority spent in the medical field. He has worked at Charlotte Memorial Hospital in the operating room, emergency room, and then on the I.V. team running the outpatient/endoscope department. Later, he was hired as Mecklenburg County’s deputy director and established the service we have today known as "Medic." He also worked part time as an investigator for the Medical Examiner’s office for 27 years. He has 2 grown kids, Mitch and Kim, both are out on their own and doing very well. Steve was a patient of Dr. Ernst for several years and medicine always came into their discussions. 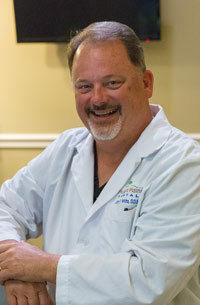 Impressed with his credentials and experience, Dr. Ernst had Steve join our sedation team. During IV sedations, Steve assists the doctor in starting the IVs and monitoring our patients. Katelyn was born in Charlotte and grew up in Weddington, NC. She graduated from York Technical College with her Associates Degree in Dental Hygiene. 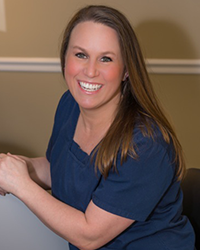 Her favorite part of being a dental hygienist is getting to know her patients, promoting their oral health, and teaching them the importance of oral hygiene. Katelyn’s goals for her career are to further her education by getting her Bachelors of Science, taking advantage of as many continuing education classes as possible, and volunteering her time to give back to the community by using her knowledge of dental health to help the less fortunate. She likes to spend free time with her three boys, Dominic, Xavier and Roman. She enjoys coaching their soccer teams, and generally staying active. Yulia is originally from Ukraine and immigrated to the United States in 2008 with her family. She graduated from Central Piedmont Community College with her associates degree in dental hygiene. Yulia truly loves working in dentistry and educating her patients on the preventative aspect of dental care. 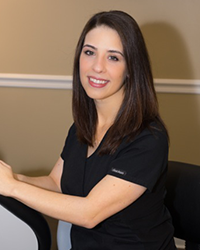 She enjoys constantly learning what's new in dental hygiene and prevention and especially feels accomplished when she can make a patient with previous negative memories of dentistry comfortable and happy to be receiving care. Yulia and her husband, Vadim are raising their three children, Diana, Andrew, and Dennis. Her family enjoys spending time together as much as possible and love to go on family adventures. Erin was born in Bogalusa, Louisiana and grew up an Army brat living in several places around the states as well as overseas in Germany. 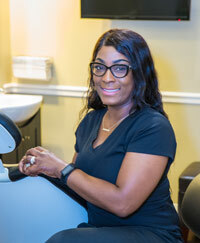 She settled in the Charlotte area and attended Central Piedmont Community College where she received her Associates of Applied Science in Dental Hygiene. Erin worked in pediatrics for 8 years before joining the team at Pleasant Plains Dental in 2016. 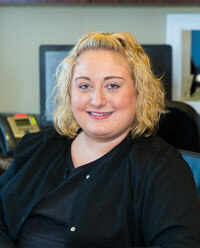 Erin is passionate about patient education and helping everyone understand their treatment needs. She has enjoyed coming back to family practice where she can develop relationships with people of all ages in our community here in Indian Trail and the surrounding area. When Erin is not working, she is busy with her husband Brian raising her two boys, Jackson and Logan. They love to go to the pool and Carowinds and to travel together as well as spend time with extended family. 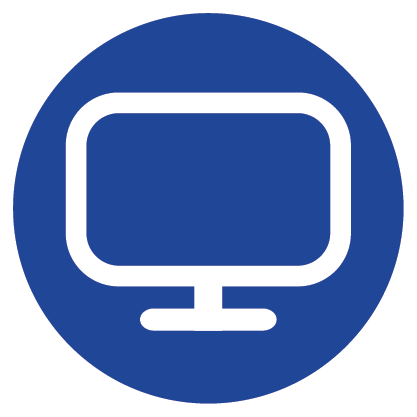 Channel was born and raised in Charlotte North Carolina. She graduated from the Dental Assistant Academy of Charlotte in 2015. 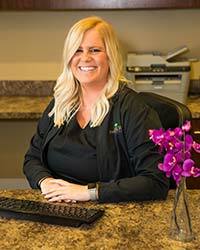 Since graduation, she has been thrilled to expand her dental knowledge at Pleasant Plains Dental where everyone loves helping and making the community smile. She has always had a passion for helping others and loves building others confidence in their smiles. In her free time, she loves spending time with family and friends and enjoying life to the best of her abilities. Yasmine was born and raised in Charlotte, NC. 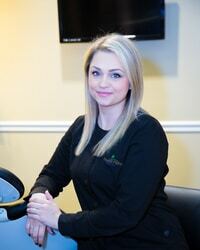 She attended school at the Dental Assistant Academy of Charlotte. In her spare time, she enjoys listening to music and watching Netflix. She is currently continuing her education at Central Piedmont Community College in hopes of becoming a dentist. What she enjoys most about working at Pleasant Plains Dental is taking x-rays and having the opportunity to help patients. 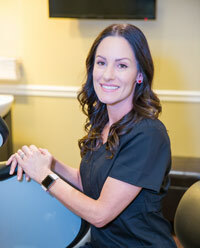 Kristina is originally from Russia, she has spent the last 19 years in the U.S. She attended Myers park School of Dentistry, where she completed her certification. In her free time, she enjoys spending time with family and friends, volunteering at her local church and spending time at the beach, enjoying the sun and the fresh air! Olya is originally from Russia and grew up in California. 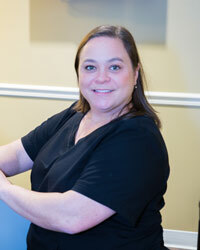 She attended Myers Park School of Dentistry in 2010 and has been assisting ever since. In her free time, Olya enjoys spending time with her husband Paul and their three kids. They enjoy going camping, visiting the beach, and family movie nights. Jazmyn was born in Culpeper, VA but raised in Bridgeport, CT and Richmond, VA. After moving to Charlotte in 2011, she attended CPCC graduating with an Associate’s Degree. In June 2017, she graduated from the Dental Assistant Academy of Charlotte. In her free time, she enjoys spending time with family and friends, and also traveling. 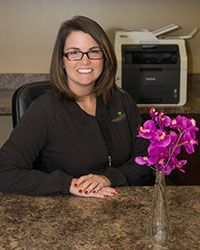 What she enjoys most about working at Pleasant Plains Dental is that our team is very knowledgeable and there are many opportunities to learn from one another. 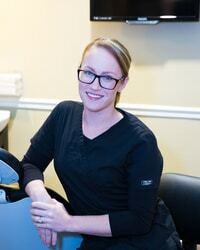 She also enjoys helping improve patient’s confidence and make their dental experience as comfortable as possible. Her goal within the next 5 years is to go back to school to become a Dental Hygienist. Melvin was born and raised in Eastern North Carolina. He attended Wayne Community College for Dental Assisting. He loves meeting new people and being able to care for our patients. When Melvin is not at work, he enjoys spending time with his wife and their 3 kids. He is also huge sports fan and bleeds Duke blue! 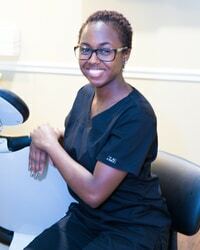 Zana enjoys meeting new people and being able to help them with dental related fears. She has four great children, all boys, who enjoy day trips, hiking, and outdoor activities during the summer season. She enjoys most being able to spend quality time with family. Jamie was born in Florida and then raised in North Carolina. She graduated from South Piedmont Community College in 2012 with an associate’s degree. 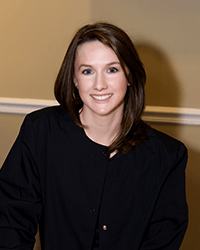 In May 2016, she graduated from Dental Staff Institute of Charlotte as a dental assistant. She has been married for 15 years, and has a son and daughter named Devon and Brittany. In her free time, she enjoys traveling, baking and spending time with family and friends.